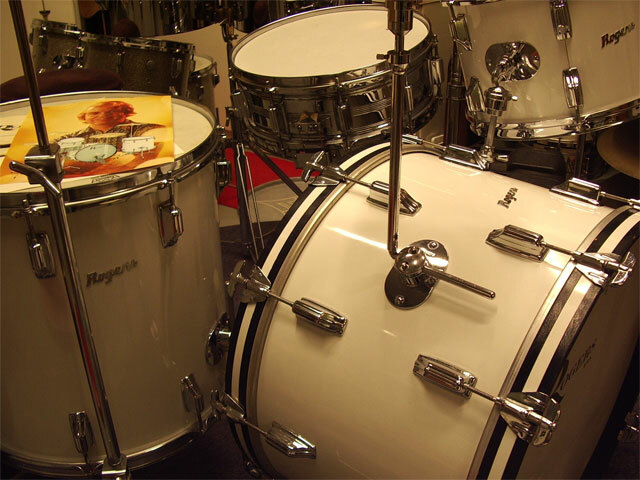 This set is an original 4-piece Rogers set in the Roy Burns color New England White (plain white cortex). 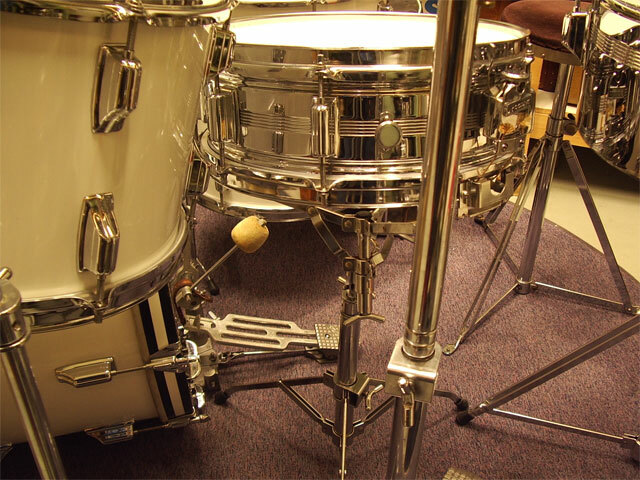 BD 14 x 22, TT 9 x 13, FT 16 x 16 and 5.5 x 14 DynaSonic chrome over brass. 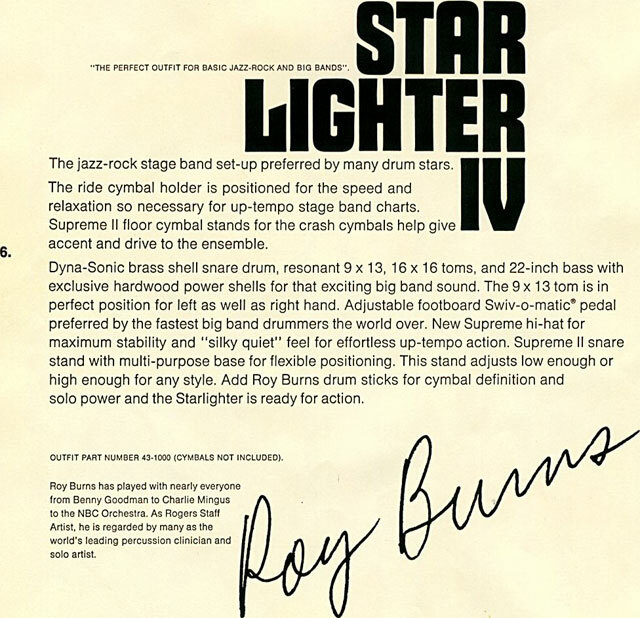 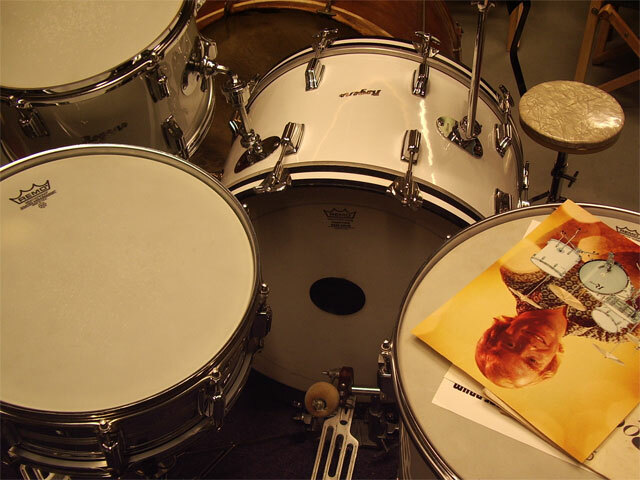 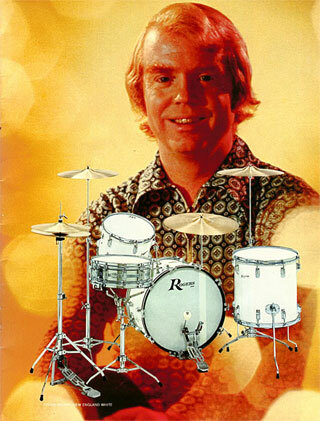 Famous Rogers 5-ply shells with 5-ply reinforcement hoops and the Swivomatic hardware that made Rogers the Cadillac of the drums. 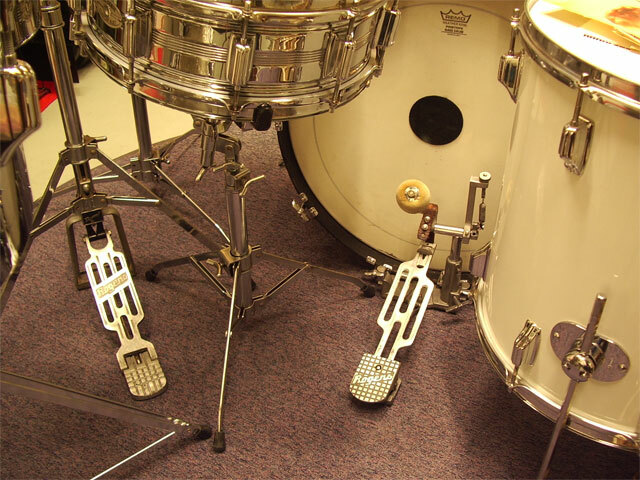 Cymbals not included, see cymbal section. 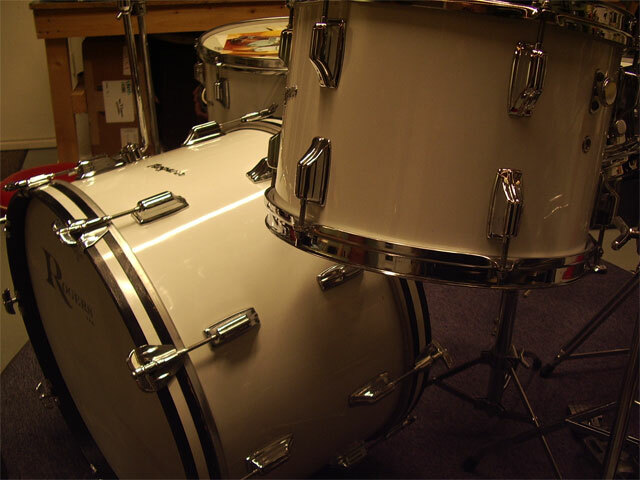 Fullerton era, they don't come much cleaner.